Sometimes I don’t think I give soup enough credit. When I start my food planning for the week, I don’t often think about adding soup to the menu. 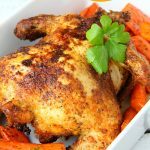 I’m not sure why, because soup is the perfect choice for lunches on-the-run and busy weeknights suppers. . .which are what we experience 80% of the time! Just think about it. Soup recipes normally make enough to serve a crowd. You can freeze soup. Soup often tastes even better the next day. 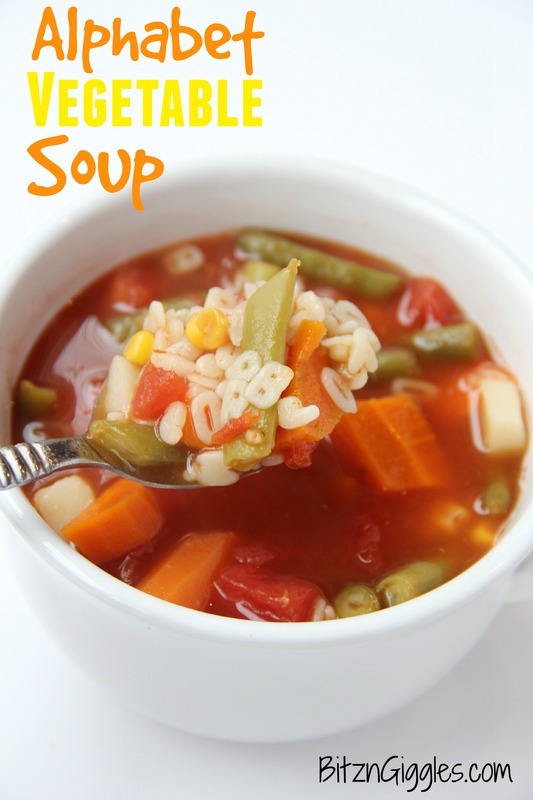 Leftover soup just needs to be reheated and you can have a meal ready to go in minutes. I’m not sure there’s really anything negative I could say about soup except I usually don’t serve it alone. I like to serve it alongside some fresh bread, a salad or a sandwich. Why? Well, because we’re hungry people. 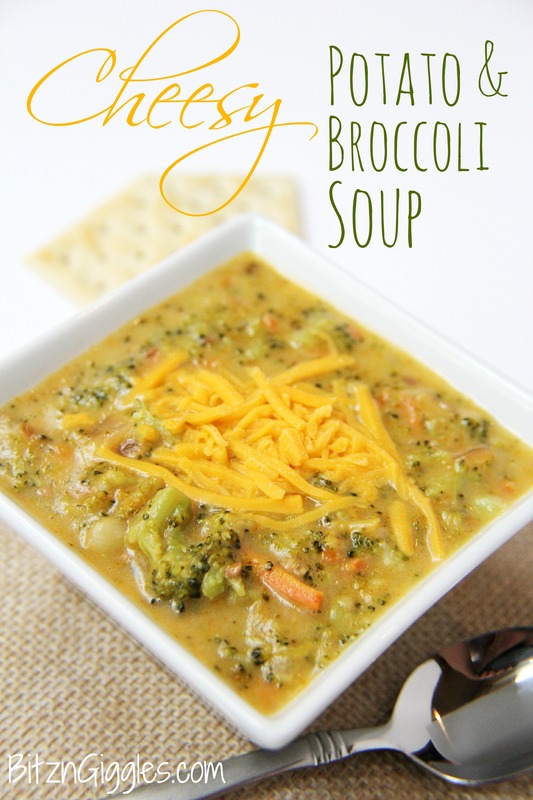 This Cheesy Broccoli Soup is so yummy and comforting! 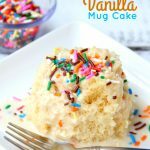 I actually made this last batch for a family birthday party this past weekend. It was a soup and sandwich party. Everyone invited brought a crockpot of soup to share. What a great idea, right? I LOVE trying new soups! Cheeseball aside, you need to dig into this soup. 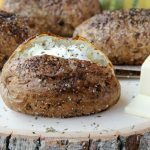 My recipe does incorporate mushrooms because we love them, but if you’re not a “shroom” fan you can omit them and the soup will still be flavorful and delicious! Enjoy, and I hope someday you have your own soup party. Heck, try it out this year! I’m betting it will become an annual tradition! 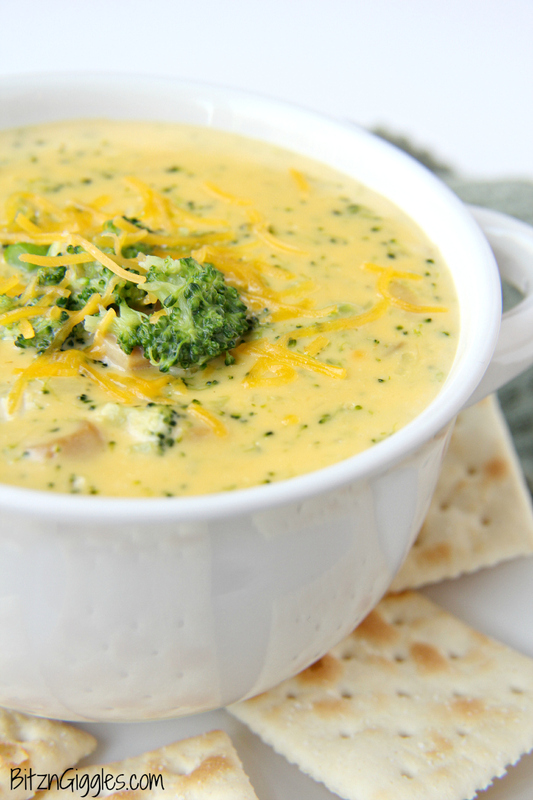 This cheesy, comforting and delicious soup goes perfectly alongside sandwiches and salads! In a stockpot, melt butter over medium heat. Saute onion and mushrooms in butter until onions are softened. Stir in the broccoli and chicken broth. In a small bowl, mix cornstarch and water until dissolved. Stir into soup. Cook until the soup reaches desired consistency. Add some additional water or chicken broth if soup is too thick. PLAN YOUR OWN SOUP PARTY! 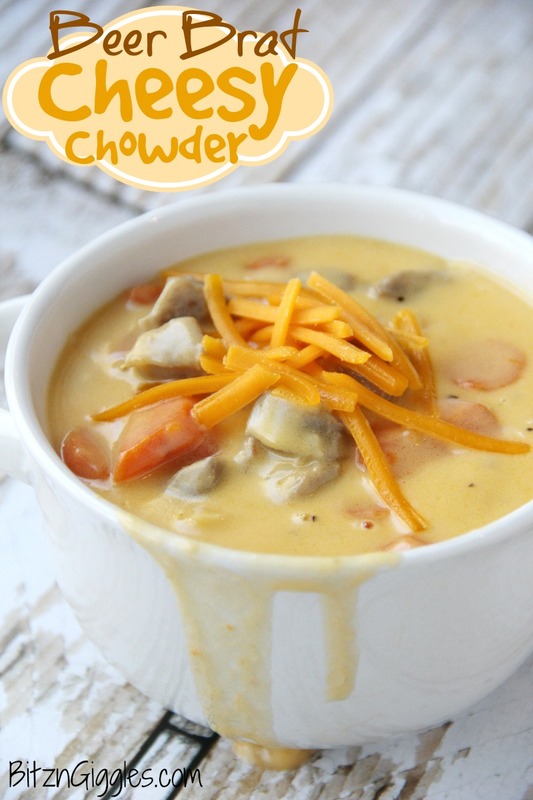 I’m on a major soup kick right now and this looks great! I love soup too, I’ll have to steal that soup and sandwich idea and of course I’ll try this soup! The soup and sandwich party was a hit! It’s a great excuse to just get together with friends and family! Soup and sandwich party sounds like a blast. So nice a change from dessert parties! This reminds me I need to get on that soup thing! 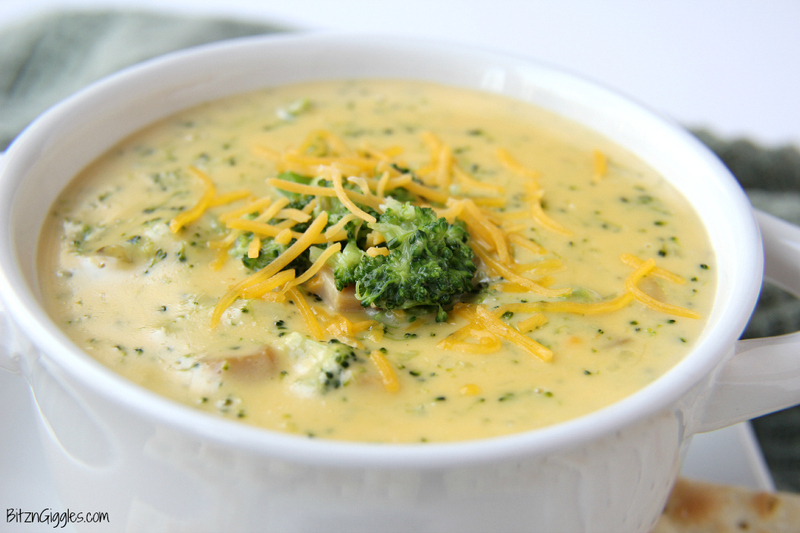 Broccoli cheese soup is classic and my boys would devour this! Broccoli Cheese Soup is the way to my heart! Same. I totally don’t give soup enough credit but we all LOVE it! 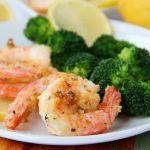 Especially Cheesy Broccoli!! 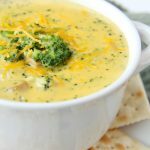 My husband loves Panera broccoli cheddar soup but it went up in price and therefore we set out on a hunt to create the perfect broccoli cheddar soup.